I read this article and found it very interesting, thought it might be something for you. The article is called Wolfensohn, Sir James D. and is located at https://www.medalofphilanthropy.org/wolfensohn-james-d-sir/. 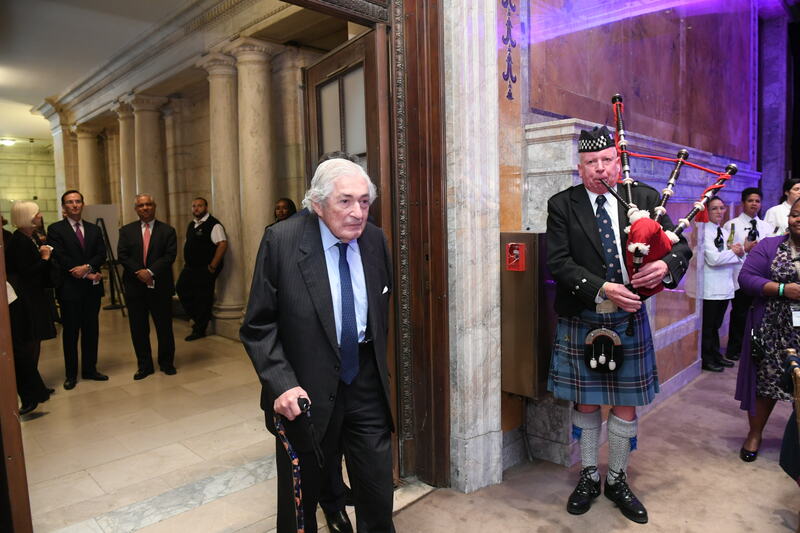 The life of James Wolfensohn has been characterized by principled leadership, compassion, and generosity. Like Andrew Carnegie before him, as a reformer Mr. Wolfensohn takes to heart the maxim that democracy and excellence are not mutually exclusive. The remarkable attributes that led to Mr. Wolfensohn’s achievements emerged at an early age. Born in Sydney, Australia, to a loving and cultured family of modest means, he entered high school at the age of 10 and college at 15. He joined the fencing team during his later years at university, strictly to fulfill the prerequisite for a sixth teammate at national championships. This (initially passive) membership led to a steadfast commitment, eventually earning him a place on the 1956 Australian Olympic fencing team. He went on to receive a BA and an LLB from the University of Sydney, serve as an officer in the Royal Australian Air Force, and earn an MBA from Harvard University. These accomplishments all contributed to the formation of the strong character for which Mr. Wolfensohn would become world renowned. He began his career practicing law in Sydney, and returned there to transition into banking after graduating from Harvard. His rise in the field took him to London and, eventually, New York, where he was a senior executive at Salomon Brothers. In 1980 he became a naturalized U.S. citizen and established his own investment firm, James D. Wolfensohn, Inc. Beyond his career in business, his philanthropy has benefitted numerous cultural and social causes, both in the United States and abroad. He has also donated his time to a range of organizations. As chairman of Carnegie Hall, he worked with the hall’s president, Isaac Stern, to return the New York City landmark to its former glory, spearheading renovations and securing the financial stability of the world-famous auditorium. He did much the same for the Kennedy Center for the Performing Arts, as chairman helping to relieve that institution’s financial woes. And he committed more than 30 years of insightful leadership to the Institute for Advanced Study, where he now serves as chairman emeritus. Undeterred by convention, Mr. Wolfensohn applies himself in unexpected directions, for example taking up the cello—and becoming proficient in the instrument—at the age of 50. Years later he would remark that he advanced in life without any self-imposed limitations. In 1995 Mr. Wolfensohn was named president of the World Bank, further raising his profile in the international community. He astonished many with a courageous campaign against widespread corruption in both developing and developed countries. He implemented new policies requiring bank representatives to build close and respectful relationships with the impoverished member nations it supported. He is one of the few World Bank presidents to have served two terms, and his decade-long tenure was characterized by an unwavering defense of the underprivileged. 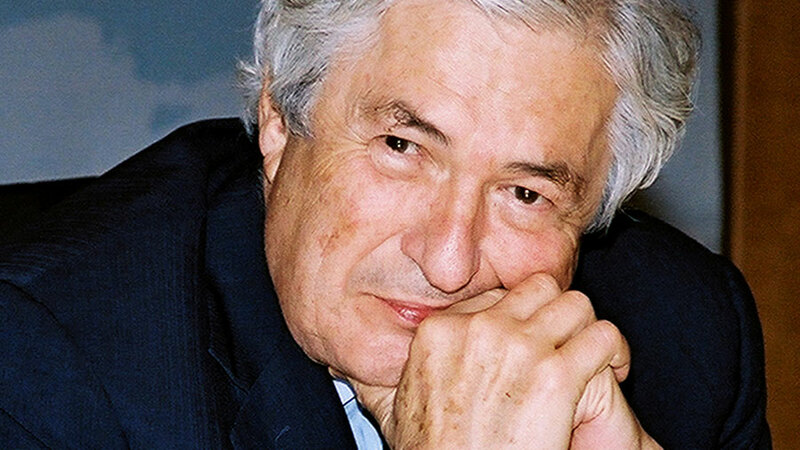 Throughout his time at the World Bank, Mr. Wolfensohn continued to give quietly to a range of philanthropic causes that were as varied as his own interests. 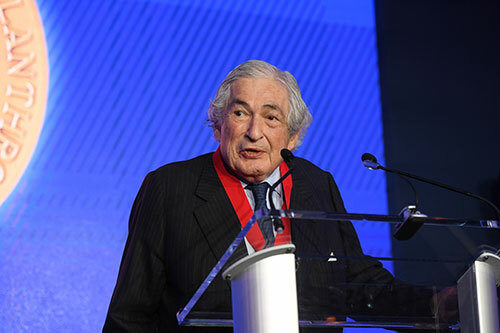 Mr. Wolfensohn has earned numerous honors and awards over the course of his illustrious career. In 2005 he was named Special Envoy for Gaza Disengagement by President George W. Bush. His honors include the Knighthood of the Order of the British Empire (KBE), the Grand Cordon of the Order of the Rising Sun of Japan, the Commander’s Cross of the Order of Merit of the Federal Republic of Germany, and the award of Officer of the Order of Australia (AO). 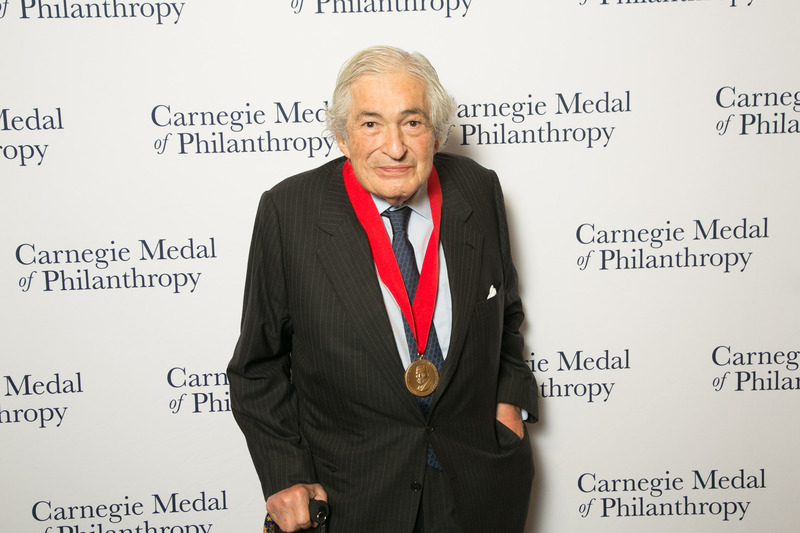 As a philanthropist, public servant, and humanitarian, Mr. Wolfensohn has demonstrated a record of philanthropy that upholds Andrew Carnegie’s lofty vision of giving and service. 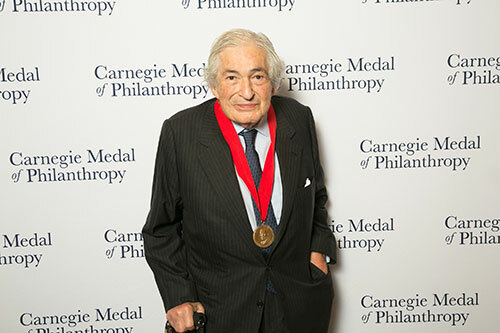 The Carnegie family of institutions is enormously privileged to include Sir James D. Wolfensohn among the recipients of the Carnegie Medal of Philanthropy.